Sportkings Series E is scheduled to be released on May 3, 2012. Each box will contain (5) cards – (3) base (including random minis), (1) base (premium back), and (1) insert (this will be a relic or hard-signed autographed card). Check out some of the following case hits you can find. 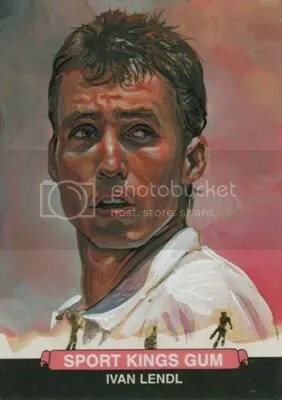 They include Spectacular Patches, Cut Signatures, and 1/1 Art-Cards by Sport Kings, LLC Lead Portrait Painter Jared Kelley. Last week I interviewed Mr. Kelley about his artwork and involvement within the hobby. The full checklist will be released on April 1, 2012. Sportkings is the best multi-sport product on the market. Other manufacturers produce multi-sport products, but Sportkings seems to be one of the best. They really take their time to make a quality product. Harry Kalas better be in this set. 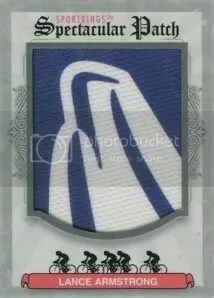 In The Game understands how to use the color white when it comes to card design. White just makes the autographs stand out better. 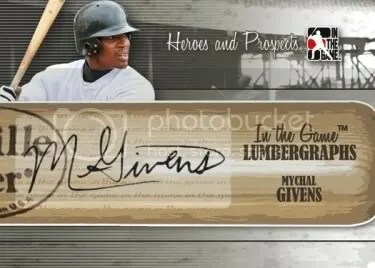 I like the Lumbergraphs autographs because it looks like the player signed a bat. They look really nice. ITG made a wise decision when they chose to use baseball leather for the Between The Seams autographs. Not only does it look nicer when compared to the manufactured leather, but it allows the player’s signature to last longer. Signatures on manufactured leather seem to fade quite fast even when left in complete darkness. I like that ITG doesn’t serial number many of their cards. Its fun researching a product trying to determine how many copies of a specific card were produced. 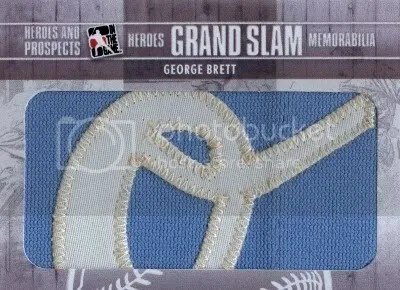 Overall, I give 2011 ITG Prospects & Heroes Baseball “Hits” Series 2 4 baseballs out of 5 (1=poor & 5=perfect). 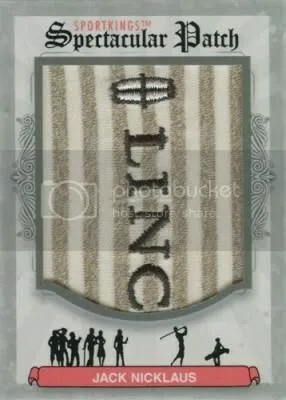 I wish other manufacturers who are licensed to use logos could make cards that look like this. ITG does a great job, especially when it comes to high-end products. You gotta love a product when all the cards come in penny sleeves and top loaders. 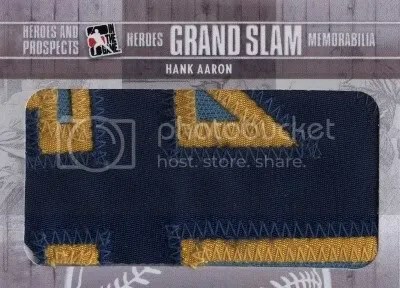 In The Game released some new images of their 2011 Heroes & Prospects Hits Baseball – Series One which will be released in January. This is their first attempt at making a baseball product, and I think they look really good so far. This summer I took a statistics course at my college. In fact, when this blog gets posted I will be in the middle of my final exam. For this class I had to do a project that involved testing something with what we have learned. I decided to test whether or not 2008 Topps Allen & Ginter baseball boxes really contain more than two “hits” per box on average. Below you will find my paper that I wrote. Right now I have a B+ in the class. I might squeeze out a low A if I do really well with this project and final exam. Sports card collecting is a major hobby in today’s society. 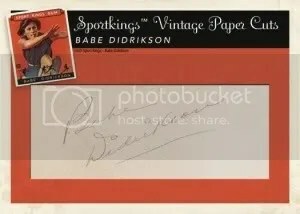 Even in this high tech world of gadgets and video games people still have the urge to crack open a pack of baseball cards hoping to find one of their favorite players. Overtime the hobby has changed very much. 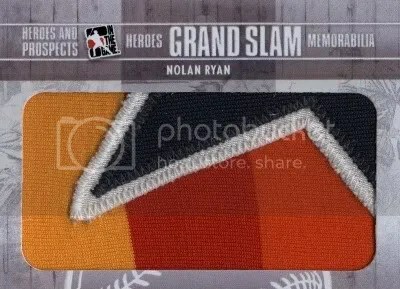 Today you can open up a pack and find cards that contain actual pieces of memorabilia (bat, jersey, pants) that a player used in a major league game. 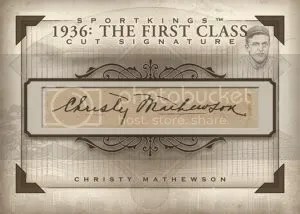 In addition to memorabilia you can also pull out autographs, original vintage cards, and the actual printing plates that are used to make the cards. 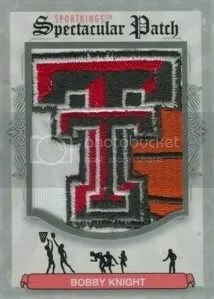 The Topps Company is one of the biggest suppliers of baseball cards in the industry and in recent years they have introduced a product called Allen & Ginter. This product is modeled after the 1887 set that was the first set of cards actually created for collecting instead of just finding them inserted into packs of cigarettes. 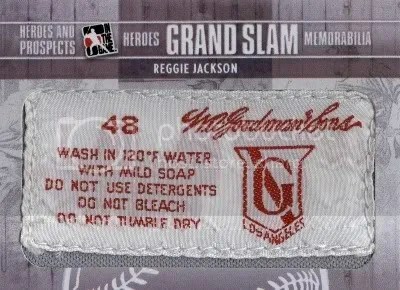 This year, Topps released its 2008 version of this specific product. 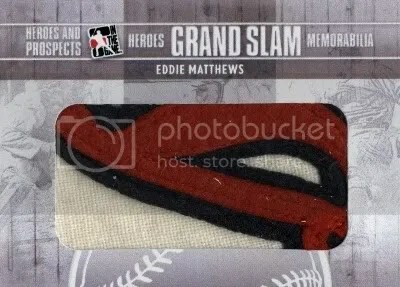 On the side of the product, the Topps Company states that you will receive two “hits” per box on average. 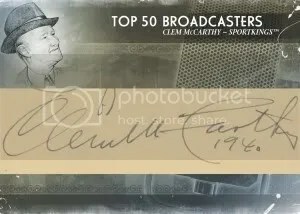 A “hit” can be defined as an autograph, memorabilia, printing plate, rip card, or any serial numbered cards that are numbered to only one in the entire world. 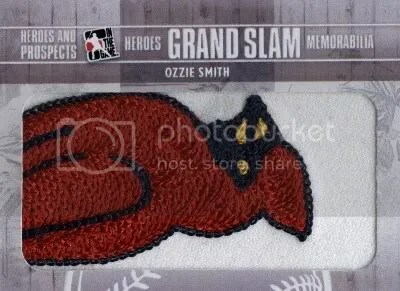 Topps introduced the world to the “rip card” back in 2006, which is a card that you tear open and inside there will be a special mini card. 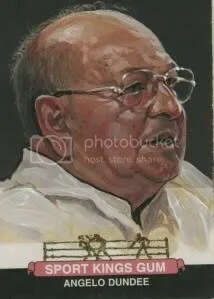 Rip cards come one in every twelve box case. 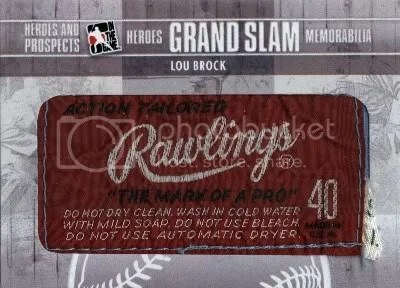 Another potential hit would be what Topps calls a silk card. 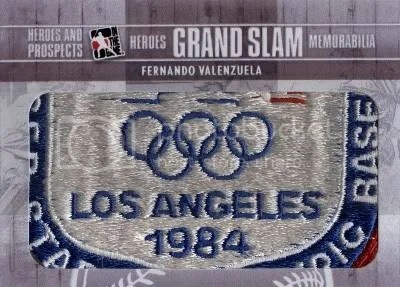 These are small baseball cards made of silk and there are only ten of those per player. Since this product has been released, many people have said that their boxes have contained more than two hits. In this study, I will attempt to figure out if the average is really more than two per box. This study consisted of 33 random samples ranging from long time collectors all the way to fairly new collectors that were trying out this product for the first time. After witnessing a number of these boxes opened and seeing that collectors were receiving more than two “hits” per box, a survey was conducted to see if two “hits” per box was incorrect. Along with asking how many “hits” they received, they were also asked what kind of “hits” they got. 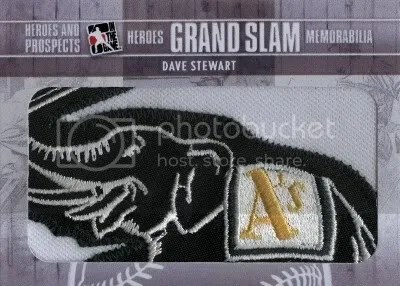 The “hits” were broken down into six different categories: memorabilia, autograph, printing plate, rip card, 1/1, and silk insert. 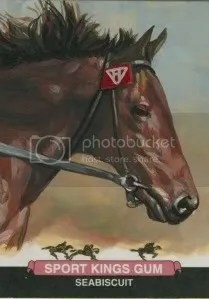 The statistical analysis will be using a t-distribution test because this is a real life situation in which we do not know what the actual standard deviation will be without calculation. The 33 random samples contained a mean of 3.091 “hits” per box, and a standard deviation of 1.071. 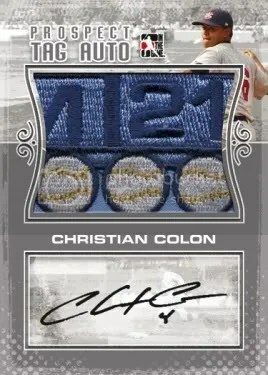 The Topps Company states that there is an average of “two” hits per box. As you can see from the 33 random samples the mean is higher. Using Minitab, and running a t-distribution with a 99% confidence interval, you can see that the Ho = 2. The distribution provides me with a p-value of 0.0000008. The above histogram shows you were the mu is in relation with the rest of the sample based on the 99% t-confidence interval for the mean. When comparing the p-value to the alpha (0.0000008 < .01), you can see that the p-value is much lower. Since the p-value is lower than the alpha, I can reject the Ho hypothesis and say that there is good evidence that the average is more than two “hits” per box. To support my claim that the average is not two, below you will find Minitab output that produced a t-distribution asking whether or not the mu was two or not. As you can see, the 99% confidence interval ranges from (2.580 – 3.602). Since zero is not between those two numbers, that gives me another reason to reject the Ho. Out of the 33 random samples, there was a total of 102 “hits”. 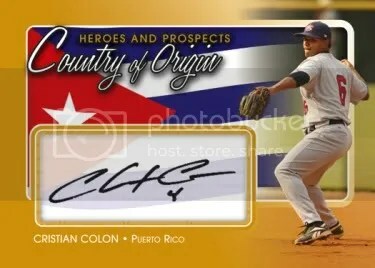 Most of the “hits” that collectors were pulling were additional memorabilia cards. 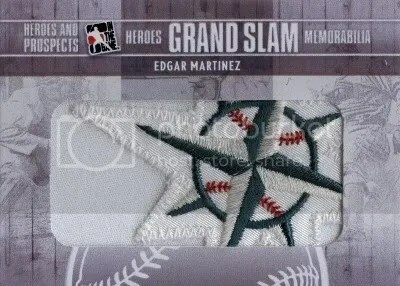 87 of the 102 “hits” were memorabilia cards. That is 85% of the “hits” pulled from their boxes. Autographed cards came is second, with 9%. After obtaining data from the 33 samples, I statistically found evidence that The Topps Company has inserted more than two “hits” per box. It seems that the average collector is pulling three “hits” per box. Due to the p-value being smaller than the alpha you can reject Ho. When doing another t-distribution to see if two was equal to the mu or not, I obtained an interval that did not contain zero. That is another reason to reject Ho = 2. 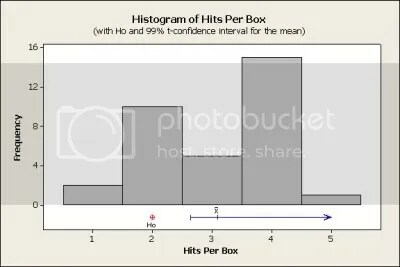 In my research, I believe that the average is not two “hits” per box, but three. 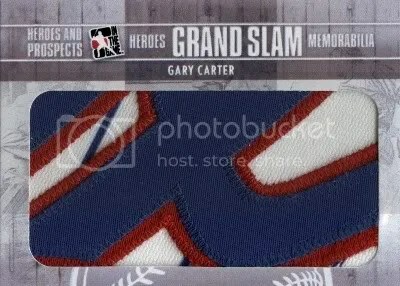 Most of the time, that extra “hit” will be a memorabilia card.